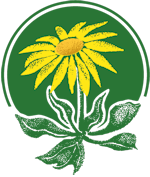 "The California Native Plant Society (CNPS) is a non-profit organization dedicated to the appreciation and conservation of California native plants through education, science, horticulture and advocacy." The San Gabriel Mountains Chapter of the California Native Plant Society meetings are held on the fourth Thursday of each month at 7:00 p.m. at Eaton Canyon Nature Center. The CNPS plant walks are on the second Sunday of each month at 9:00 a.m. at the Center. The Pasadena Audubon Society's mission is to bring the excitement of birds to our community through birding, education and the conservation of bird habitats. General Meetings are held the third Wednesday of each month (except June, July, August, and December) at 7:00 pm for social time and 7:30 pm for the program at Eaton Canyon Nature Center. The objectives of the Southwestern Herpetologists Society are: br /> To enhance the education of the members and the general public concerning the roles of amphibians and reptiles in the natural world. General Meetings are held the third Thursday of each month at 7:30 pm at Eaton Canyon Nature Center. The San Gabriel Valley Chapter board meeting is held at 7:00pm prior to the general meeting.